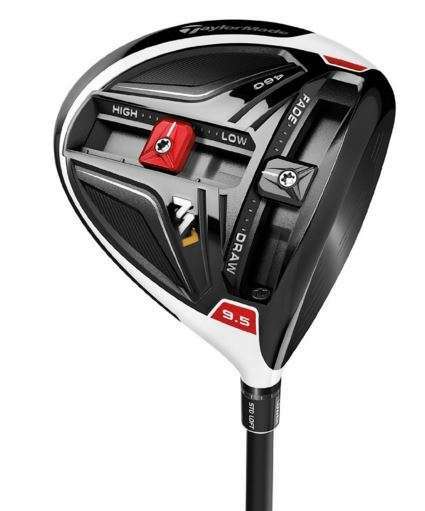 The TaylorMade M1 Driver has more adjustments than you can likely wrap your head around. 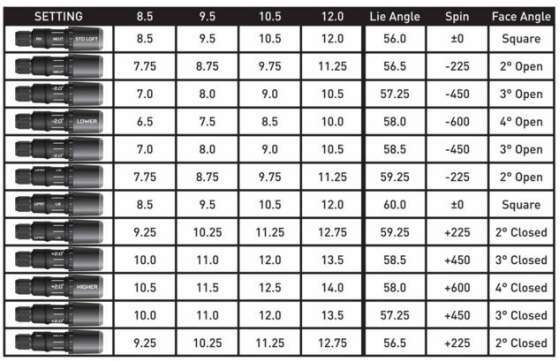 Increase or decrease face angle 1.90 to 2.0 degrees. On the sole of the TaylorMade M1 driver are two sliding weight tracks. The front track has a 15 gram weight that can be set for multiple draw, neutral and fade settings. The rear track has a 10 gram weight, which lets players customize high, medium and low launch settings. I have to admit that the golf gear geek in me is fascinated by this club. I don’t think it would solve my driving woes entirely, but the idea of being able to fine tune the ball height and spin really appeals to me.